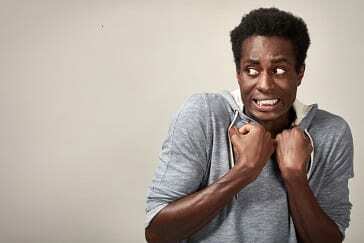 A common dental phobia – fear of dentist – is a common emotion for many people. From anxiety to phobia, tens of millions of Americans suffer from these feelings when planning a visit to the dentist – making some avoid the dentist altogether. Dental anxiety and phobia emerge for different reasons. Some patients have a feeling of helplessness or being out of control while at the dentist. Not unlike a fear of flying, dental fear can arise because of an uncertainty of what will happen and a sense they have no control over the situation. Other patients have a feeling of embarrassment that causes dental anxiety. This emotion is typical because the dentist must be physically close to the patient or they feel self-conscious about how their teeth look or the condition of their teeth. While some patients have actually experienced a painful or difficult dental treatment, many patients simply fear pain they perceive will occur as a result of a visit to the dentist. Patients who are fearful can find themselves caught in an avoidance cycle that becomes more serious when they might avoid preventative dental care that can, in turn, lead to a dental emergency where care is necessary and more severe. If you have a fear of dentists, it’s important to remind yourself that dental check-ups, cleanings, and treatment are vital to overall health. Several options are available to patients working through the dental phobia; below are just a few! It can be an important step to recognize when you are fearful. Writing downs any anxiety or fear you may be feeling about a dental appointment is a start to addressing the problem. A list of concerns may also show you that the list isn’t endless but is manageable. When thinking about dental treatment, consider what type of person and dental office where you will feel most comfortable. Talk to friends about their experiences and recommendations. Look at online reviews and comments regarding local dental practices. 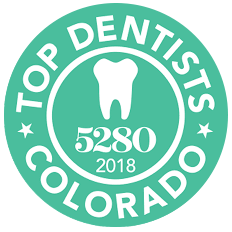 Once you’ve narrowed down your search, visit each office (before you schedule an appointment) to get a better feel for the atmosphere and dental approach. Just like acknowledging fear is a start to helping to control it, communicating your concerns is an empowering way to help address anxiety. Every healthy relationship is founded on good communication, and this is the same for you and your dentist. Express your discomfort and anxiety in dental treatment ahead of time or while in the dental chair. The more you talk with your dentist, the more options you’ll uncover, like our same-day crown treatment that gets you in and out of the dental chair faster. 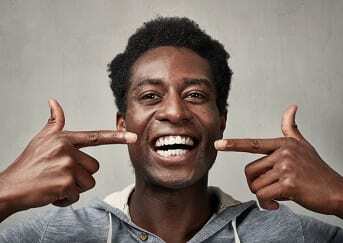 A good dentist understands your uncertainty and will work with you to come up with easily recognizable signs you can use during treatment to indicate anxiety. Having agreed signals, you can use, like lifting your hand when you need a break from a checkup, gives you more control of the appointment and aids your dentist to tailor treatment accordingly. If you feel uneasy about a dental appointment, consider bringing someone with you. A friend or family member offers another layer of support, whether they are with you in the treatment room or the waiting room. Consider scheduling your appointment for the morning so you can avoid time dwelling on the appointment and, instead, plan something to do afterward that you can look forward to. Focusing on breathing exercises or meditation practices not only helps you shift your focus from the dental treatment but can help you relax, overall, for a more calming experience. Slowing your breath and heart rate are ways to help overcome fear. Distract yourself with a stress ball or find a dentist that offers a more relaxing environment where you can listen to music or watch videos during treatment. Because oral health is so important to your overall health, if fears are just too overpowering, talk to us about what sedation options are available. Some sedatives can be used to calm you before coming into the appointment while others are available for use during a checkup, cleaning or treatment. If you avoid visiting the dentist, are scared of needles, or long for dental improvements but you’re just not sure about the process, consider needle-free dentistry! At Barron Family Dental we offer treatment with no needles but complete comfort in the form of a nasal spray. If you’re still nervous about visiting us, please call us at (303) 284-6463, and find a little comfort in some of our patient reviews. Our amazing dental team and office staff are here to allay any fear of the dentist you may still have!